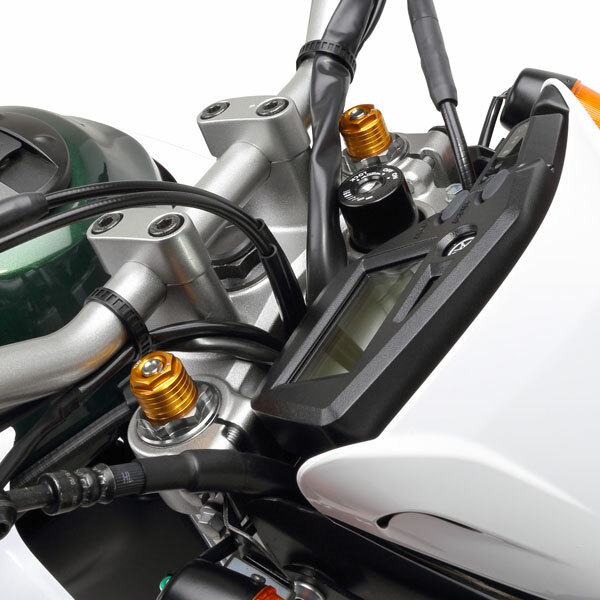 - It allows to adjust the front suspension preload. 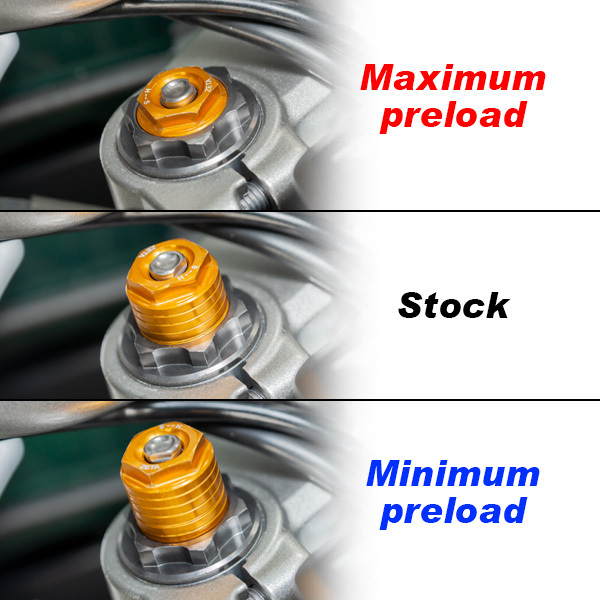 - The preload adjustment range is set from -5mm to +10mm, and it supports various situations such as a light weight rider or trail rider. - An air bleeder is equipped to get the stayed high pressure air out of the suspension without using tools. - Setting initial preload to the spring is to reduce (Nose dive) spring bottoming out by heavy braking. - 1 set for left and right.